For those who require a heavy-duty furnace, we have the new Pro 100 Plus. It’s the Pro 100, "Plus" a whole lot more. Built extra tough for long duration, high-fusing porcelain cycles like In-Ceram®, Wol-Ceram® and Captek®, every facet of this furnace has been bulked up to withstand the toughest firing cycles. 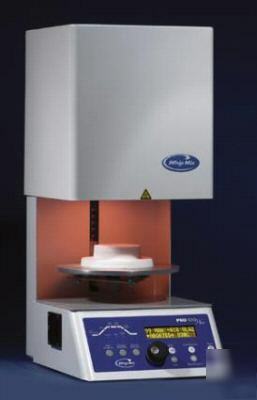 Not only is it great for very high temperature sintering, its 3-point calibration makes it extremely accurate for conventional high-fusing and low-fusing porcelains as well. Items are sealed in factory boxes. We are a full service Dental Supplier servicing the Dental Industry for over 65 Years!